If you are planning to spend your new year in a bit wild way and away from the city chaos of pubs & pools and you are probably single duhh.. Aren’t we all at some point..? Think less and be ready to create a memoir for life. Join us for another unique New Year celebration as we camp out away from the city lights. Make new friends, Play Games together, Sing Songs, get your Musical Instruments to Jam, Gaze the big Moon, or stare into the eyes of your beloved till the year winds down. It’s going to be pretty cold, so please bring your own warmers. But you can sleep out in the open if you would like to gaze the large moon. 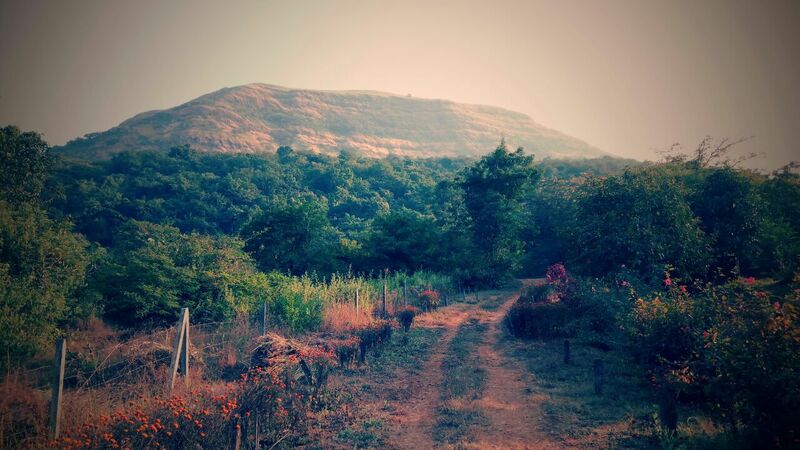 About the Campsite: Away from the city’s hustle, but approx 1 hour by road from Borivali. It is a secure location with peaceful atmosphere connecting closer with nature. This Hillside campsite is well maintained, kid-friendly, easily accessible & safe for all age alike. Proper built-up toilets available, both Western & Indian. Ample car-parking space. We are amidst the nature, so don’t expect luxuries. 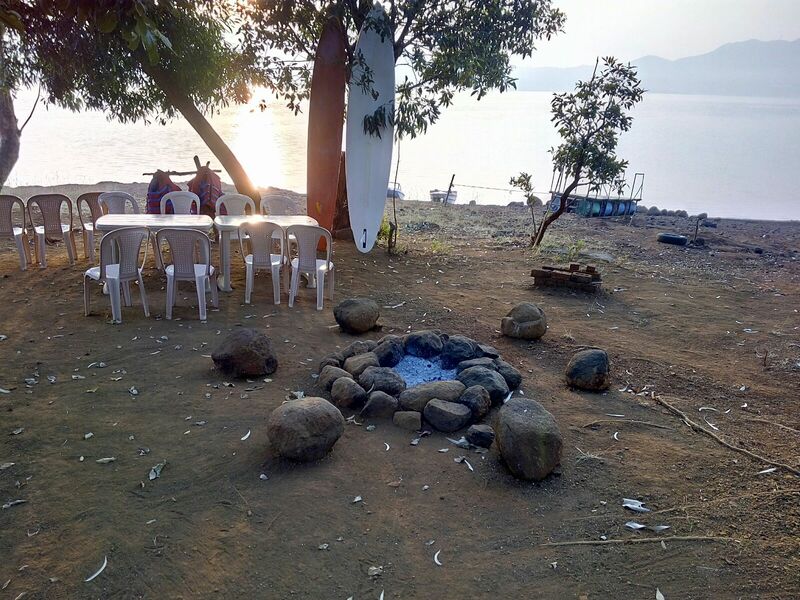 Over the years, we have become the experts at ‘New Year’s Eve Camping’ pulling off wonderful surprise parties differently each time besides the lakes, the farms, the hills, etc. There is one thing we guarantee, it will be a night to remember. But call soon, our parties sell like hot cakes. Reservation is on first come first serve basis – existing clients always come back, so book early for unique NYE experience. Register soon before we go full. The earlier you book, the less you pay. 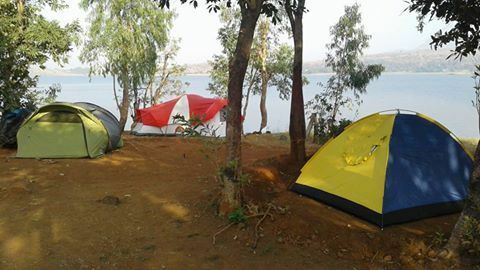 Includes: All the above activities & arrangements, tea/coffee, snacks, barbeque, dinner, breakfast, drinking water, accommodation in tents with mattress & blanket, bonfire, travel cost to-fro Safale station to campsite if coming by train. Reservation is on Payment basis only. No refund. Note: Smoking and Drinking Alcohol is strictly prohibited at this campsite. Drunken participants will be asked to leave the Site immediately. Organizers reserve the right to expel offending participants. 7. Spl. moon gazing, lots of games, celebrations, surprises, etc. If you are bored just partying, then this will be a better option. We have had lots of lakeside camping celebrations earlier. Now let’s welcome 1st sunrise of 2017 differently with a forest-side camping. 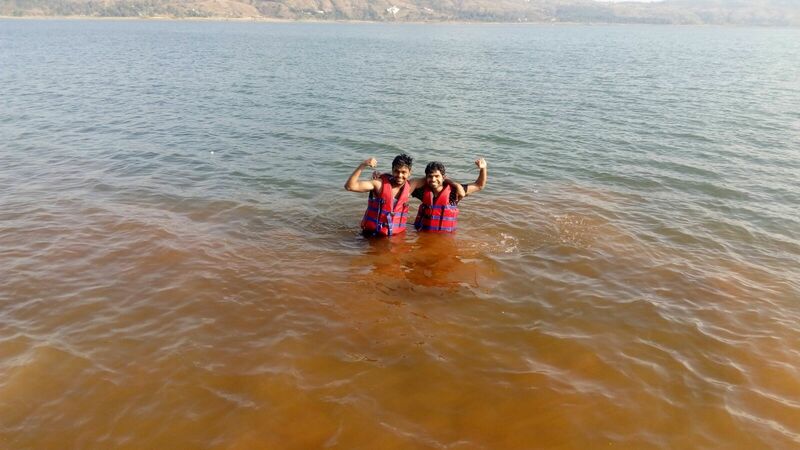 Breathe in the pure oxygen & beautiful surroundings that Mother Nature provides on the New Year day. 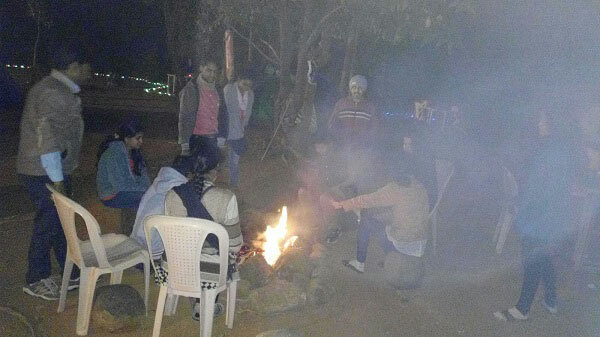 – Stay in tents or machaans, as u wish – separate tent for couples & sharing for others. – Enjoy light music and campfire whole night. It’s going to be pretty cold. So please bring your own bed warmers (apparel or human) But you can sleep out in the open if you like. We arrange for the beer and the food. You bring your own liquor. It is privately owned, completely secure location. But we are amidst the nature, so don’t expect luxuries. What better way to spend your last night of the old year? What better way to start the New Year? Where? 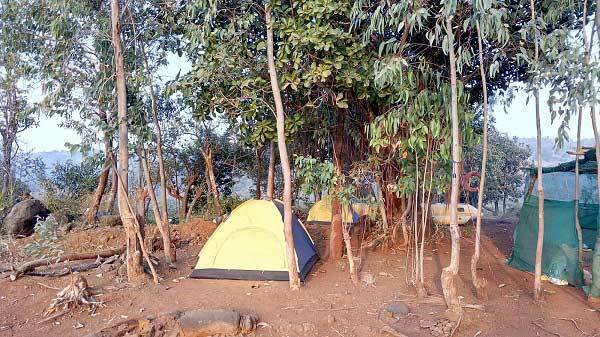 Campsite is a rustic huge farmland, near Chausar village, Lonavala. Exact address will be given to registered campers only to avoid rush at gate. Who? Above 18 years of age only. Only fun people please. Register soon before we are full. Reservation is on Payment basis only. Refunds are Not Available for this Event. 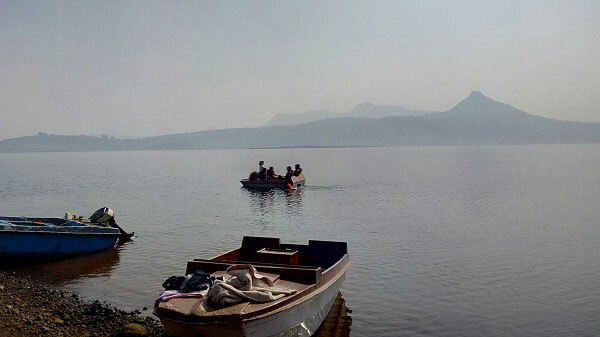 Enjoy jungle walks, counting stars, trekking & many other activities. If you get bored just partying, this is the best option for you. Bored of the same dinner & dates on “Lover’s day”? Looking for something bold and interesting this time? 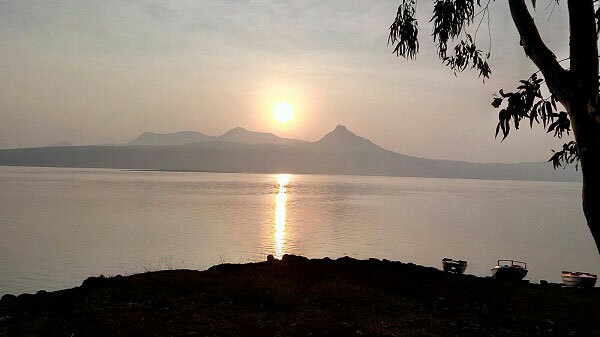 Watch the beauty of sunset & sunrise across hills & lake with your partner in your arms together. The seclusion of the island just adds to the fun and magic of the moment. There will only be other lovers around – so no-one to disturb your wonderful time. This place is surrounded by water almost 3/4th sides. Again an exclusive spot, with no else to disturb. – Stay in tented accommodation, 1 tent for each couple. – We provide blankets and pillows. – Under the stars & moon, far away from the city. You want to dance a slow dance? Please be our guest! You want to retire early and have a quiet dinner? Sure! Gaze into your beloved’s eyes with the backdrop of lake, hills, on the island. What better way to celebrate Lover’s time together? This is not a luxury trip. This is a trip where you enjoy nature to the fullest. So guys, please Man Up ok? Eligibility: Couples (married or unmarried). Mumbaikars & Punekars. Only fun people please. Caution: We have a strict no-harassment policy in our trips. Anyone mistreating others, will be dealt with immediately and harshly. Sorry. We won’t meddle in any fights between couples. In this case, you get to spend the rest of your trip as strangers.. Check for availability of space after 12th. Limited space only, register soon before we go full. 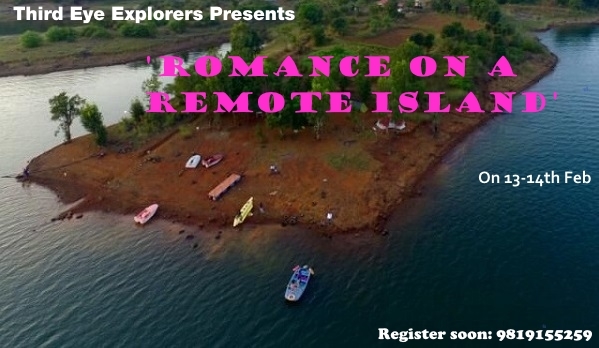 Includes: Couple tent accommodation, evening snacks, dinner, breakfast, boating, transport to and from Panvel by regular bus. Excludes: Any personal expenses & things not mentioned in ‘Includes’. Kindly register soon for those opting our transport. Get your own drinks – hard and soft. Please be sure you are able to handle your drinks. Both of you need to carry valid photo id-proof. Carry around 2 litres of water & some dry snacks & torch. Confirmation/Reservation is on payment basis only. Refunds are not available for any reason, but you can transfer your reservation to another couple. No drugs or similar stuffs to be carried. People found with drugs will immediately be removed from the trip. Avoid bringing too much money or jewellery. Organizers will not be responsible for any mishappenings.